Desirable, Quiet Location, easy access to I-75. Free Super Start Breakfast, including Homemade Belgian Waffles. 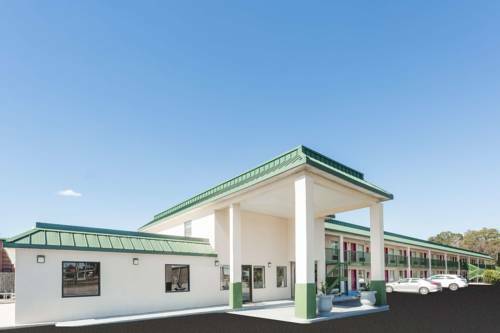 36 Nicely Appointed Guest Rooms, all with exterior corridor access. New addition in 2010 - lighted oversize vehicle parking area with easy access. Outdoor Pool. Room for up to 10 tractor trailers, RVs, Campers, Busses, or Trailers. New beds in all rooms in 2010 Micro fridge included at no extra charge. < 1 mile from Ashburn.